Wild birds add a fantastic presence to an existing garden space. 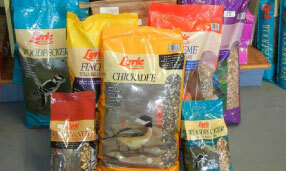 Attract birds to your property with our selection of the finest quality bird seed. Our seed is primarily supplied by Lyric and Wild Delight, and mixed specially to attract particular species of visitors. 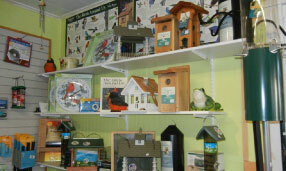 In addition to wild bird seed, we offer many lines of bird products complete with bird feeders and compatible accessories. Woodlink and Droll Yankee supply us with feeders and accessories such as squirrel baffles, shepherds hooks, and more. Once they are fed, give your birds a reason to stick around with one of our artisan crafted bird baths or birdhouses.